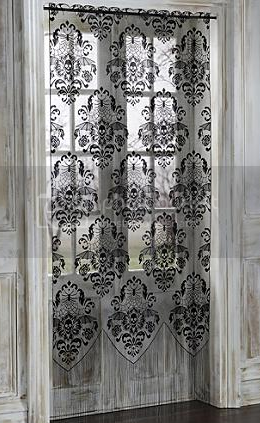 Another limited time deal - get it before it's gone! This Bacon Is Meat Candy T-Shirt is only $5.99 + $1.99 shipping. This is a great deal on these TECHN9NE Ruffian Skull Earphones - $14.99 ($4.99 shipping) but it's for a limited time only. 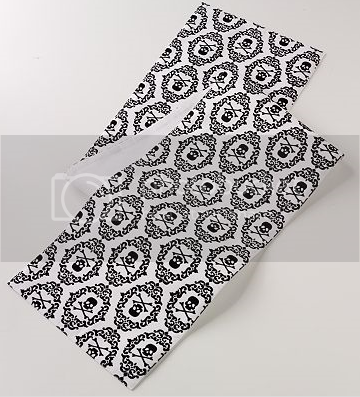 Once these sell out, the deal is gone so if you want these, jump on this deal quickly! Happy Thanksgiving! In anticipation of the Turbaconducken you may be savoring tomorrow, the Travel Channel is airing “Bacon Paradise” tonight at 10 E/P. In this episode, they will take you on a journey to find America’s ultimate “bacon paradise” at some of our country’s best pig-out spots. 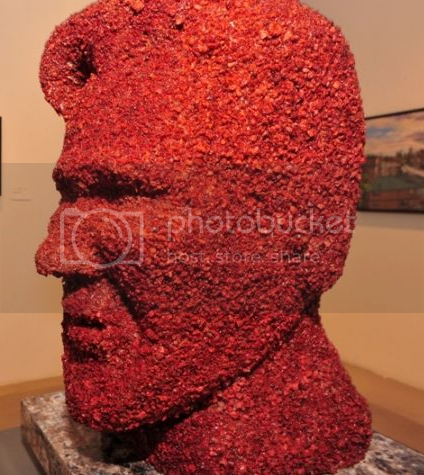 All Good Cafe: In Dallas, the All Good Cafe is home to the thickest, tastiest, crispiest peppered bacon on the planet. This infamous diner offers great food, a low-key atmosphere, and the perfect spot to catch the hottest local bands. Before even walking through the door, patrons can smell bacon and are quickly reminded of their mother’s home-style cooking. Slater’s 50/50: Located near Disneyland in Anaheim, California, Slater’s 50/50 may just be the second happiest place on earth. Their 50/50 burger patties are 50% ground beef and 50% bacon- the perfect combination for any bacon burger lover! This neighborhood establishment even serves bacon milkshakes and bacon brownies for dessert. 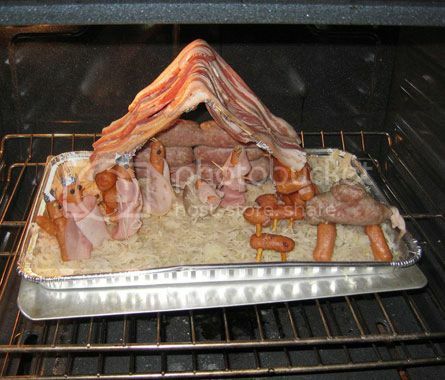 Restaurant 3: This is the “house that bacon built”, with a menu focusing specifically on the sensational treat. In Arlington, Virgina, Restaurant 3 is a palace of pork inspired by southern-style cooking. This hog heaven features everything from Bleu Cheese Chips with bacon and Bacon Stuffed Pork Chops to a Bacon Studded Waffle and Maple Bacon Ice Cream. The Lido Deck: The Lido Deck is an ocean-side bacon paradise located in Newport Beach, California. When visiting, expect a bacon-centric dining experience featuring wild bore bacon. The restaurant’s owners believe in letting the meat speak for itself, so they’ve figured out a new way to flavor bacon and have it melt in the customer’s mouth. What could be better than enjoying delicious bacon with a stunning view of the Pacific Ocean? Bad Decisions: Have you ever been to a bacon and beer happy hour? Once a month in Baltimore, Maryland, 350 bacon lovers come together in the name of bacon. 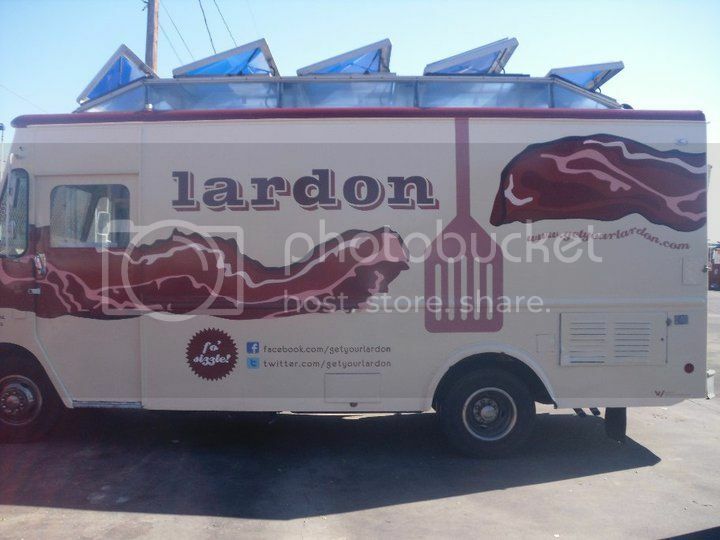 Each patron receives a bowl of bacon to munch on while enjoying their drinks. From bacon candy to bacon kabobs, this Baltimore hot spot is a guilty pleasure to hundreds of bacon enthusiasts. Hash House A Go Go: Hash House A Go Go is a Southern California brunch staple. This San Diego hot spot serves up behemoth portions of both breakfast favorites and bizarre concoctions featuring honey, hickory smoked bacon. One of their most popular breakfast dishes, the bacon waffle, has eight full pieces of bacon baked right into the waffle- a perfect salty and sweet combination! Marini’s at the Beach: This Willy Wonka-type boardwalk stop opened 95 years and and is now a Santa Cruz staple. From their enormous selection of savory treats, Marini’s is loved by many for their chocolate covered bacon. Invented by Joe Marini himself, this carnivorous candy has been fulfilling beach-goers' sweet and savory cravings for almost an entire century. 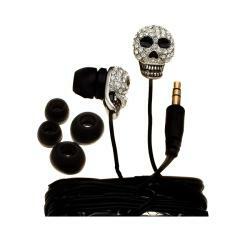 These fabulous rhinestone skull earbuds are so cool, I had to pick up a pair from Overstock.com. At only $11.99, I can't vouch for the sound quality, but who cares? I'll have skulls in my ears on my way to work! 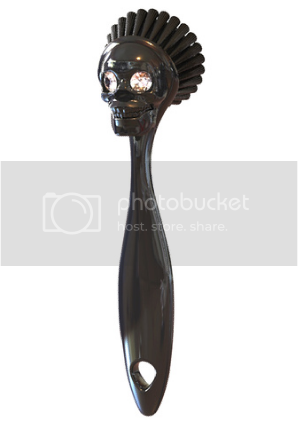 Not that I need any more skull stuff. I just got back from my first trip to L.A., which was absolutely amazing. On a good tip from a friend, we made a stop at Olvera Street where they were celebrating Dia De Los Muertos. There were so many merchants selling skulls that I pretty much lost my mind for a while. Seriously, at one point I was completely overwhelmed and unsure of what to do next. I was on a limited budget and really trying to pace myself. In the end, I only picked up a skull hat, skull earrings, handpainted skull matches, a Day of the Dead wedding statue and an awesome tin wall hanging with two flying skeletons around a flaming heart. Here's some pics, even though they don't do justice to the experience. If you're around Los Angeles, I highly recommend visiting Olvera Street. It's a fantastic week for new bacon stuff. 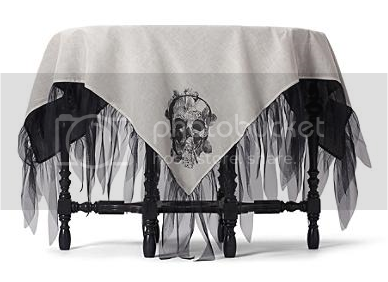 I actually have been meaning to get some skull stuff up here but these new items are too fantastic not to post right away. What was once only a cruel April Fool's joke is now really real. Think Geek had such great feedback on the My First Bacon plush that they managed to get it out just in time for the holidays. Use code BACONTRANCE for $10 off orders of $40 or more @ Think Geek, good through 11/12/10 at 11:59 PM ET. As a bonus, you can download the My First Bacon Ringtone for free! For the .m4r (iPhone) version, right- or control-click here to save the zipped file, then unzip. For the .mp3 version, right- or control-click here. 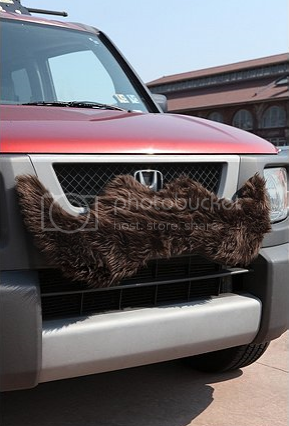 Also new today from Archie McPhee is the Mr. Bacon Jumbo Magnet. 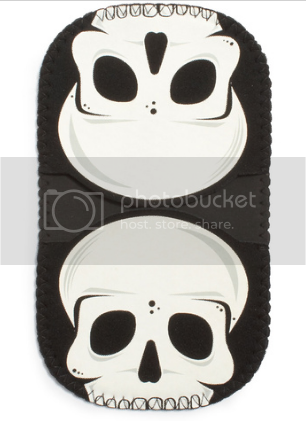 Great for your fridge or your car, this magnet is an amazing 15" tall and only $7.95. 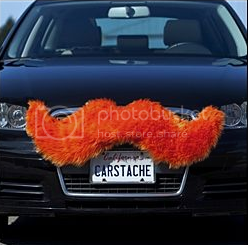 My birthday is coming up in December. Just sayin'. 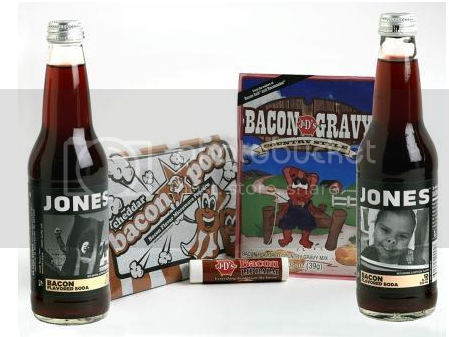 Jones Bacon Soda is available! Back in September, I warned you that Jones Soda was coming out with Bacon Soda. 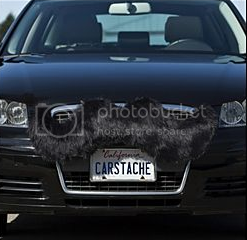 It made it's appearance a few days ago and even my mom has emailed me about it. J&D's and Jones has teamed up and are offering the Bacon Soda as part of a gift pack with only two sodas. 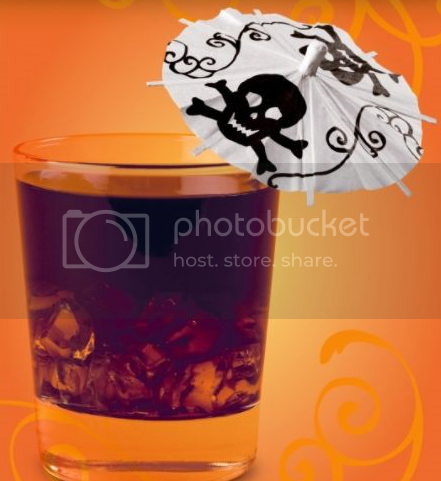 I'm not sure why you can't buy the soda separately and it looks like it probably won't make it into the stores. 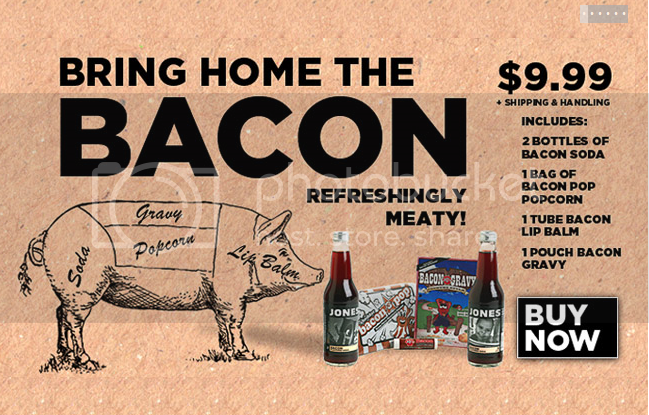 That said, the J&D’s Bacon Jones Soda Gift Pack is pretty cool and only $9.99. You can pick up the gift pack at either J&D's Store or from Jones Soda. I figure I'll try one of the soda's and keep the other on my bacon paraphernalia shelf. 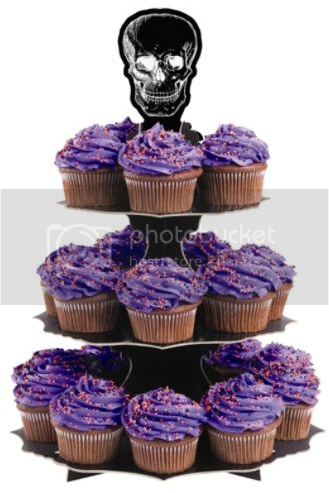 I'll let you know how it tastes once I get it! Truthfully, I'm a little scared but excited at the same time. 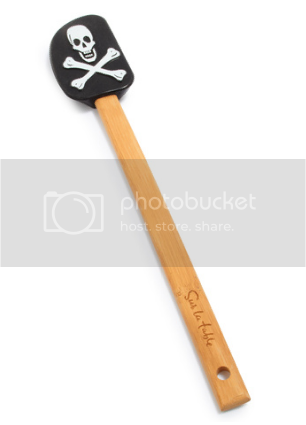 Not skulls nor bacon but infinitely awesome regardless. 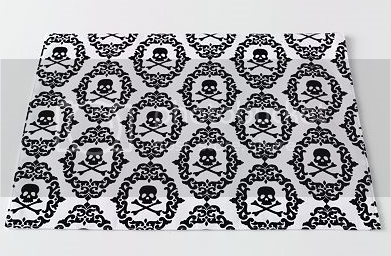 It's been way too long since I've been able to get a post up and the skulls have been piling up. 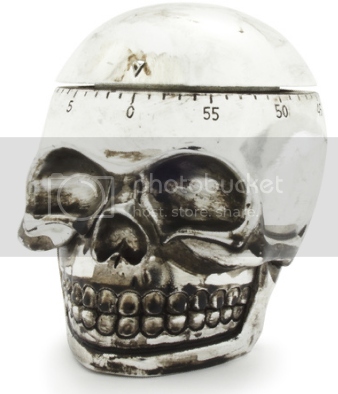 I'm completely out of money to buy more skull things yet I can't pass them up. I'm thinking of selling a kidney or something to scrape up some dough. Grandin Road has the swankiest Halloween Skulls. 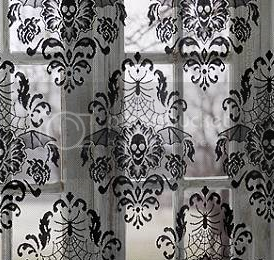 The skull window panel is to die for and the skull tablecloth and pillows are fabulous. 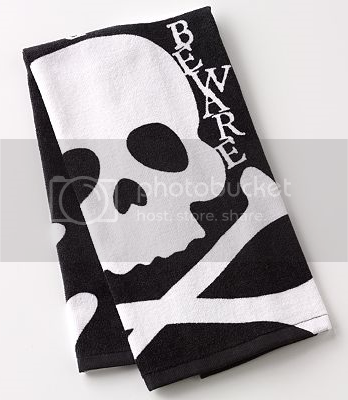 Even Kohl's is getting in on the skull action with some nice tableware and kitchen towels. 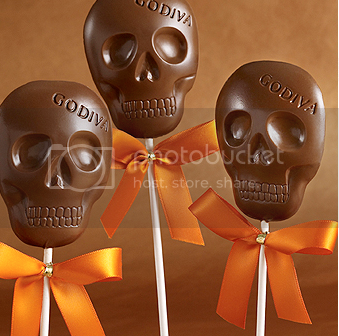 Some tasty skull chocolate lollipops from Godiva aren't cheap but you know that chocolate is to die for. 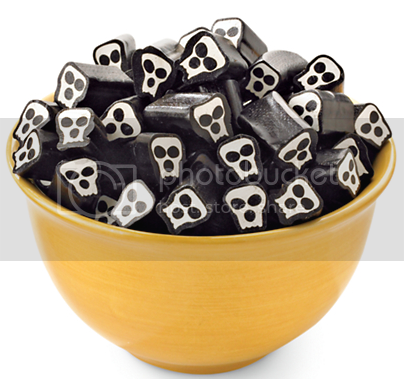 I hate licorice but these are just too cute. 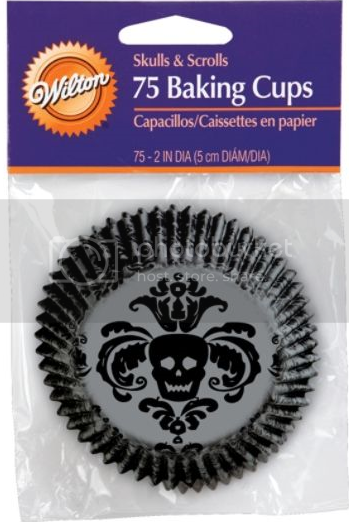 If you're into baking, Wilton has fantastic skull stuff. 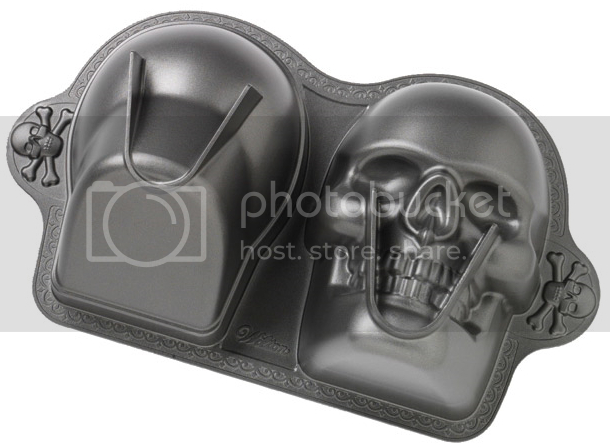 The cake pan seems to be sold out in most places so if the 3-D skull cake pan strikes your fancy you probably need to get in on that pretty quick. 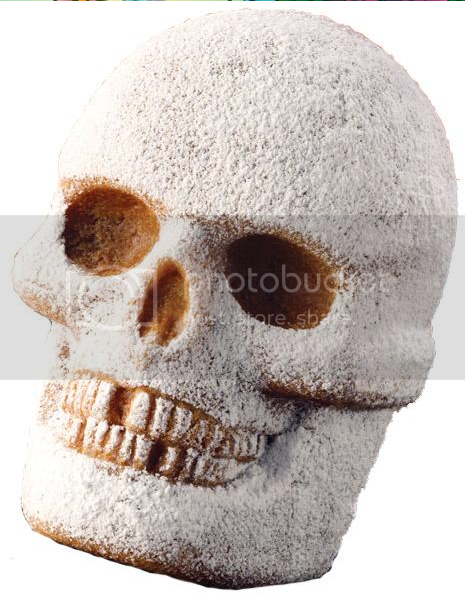 Even with just a powdered sugar coating this skull cake is awesome. 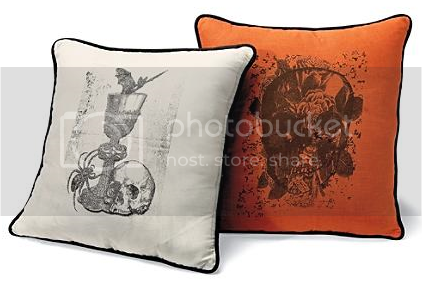 Tomorrow I head to Macy's where my brother spotted some fancy skull pillows that they don't have on their website. My credit card is ready and what's the problem with a little debt anyway?